The world's first state-licensed marijuana retailers legally permitted to sell pot for recreational use to the general public opened for business in Colorado on Wednesday with long lines of customers, marking a new chapter in America's drug culture. 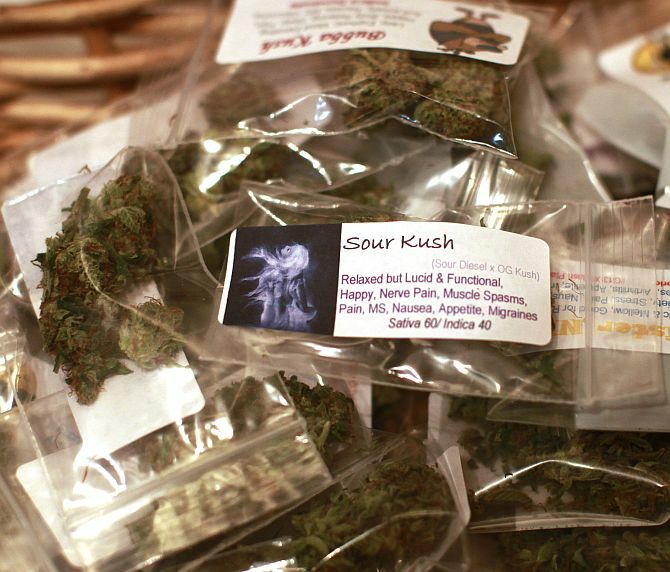 Under Colorado law, state residents can buy as much as an ounce (28 grams) of marijuana at a time, while out-of-state visitors are restricted to quarter-ounce purchases. Restraint was certainly the message being propagated on New Year's Eve by Colorado authorities, who posted signs at Denver International Airport and elsewhere around the capital warning that pot shops can only operate during approved hours, and that open, public consumption of marijuana remains illegal. Sean Azzariti, an Iraq war veteran, was the first legal buyer of cannabis. Azzariti was selected to be the first buyer at the 3D Cannabis Centre in downtown denver because he was a Marine from 2000 to 2006 who now suffers post-traumatic stress disorder after two tours in Iraq. He can't obtain medical marijuana in Colorado because PTSD isn't a qualifying condition for that treatment, he said. "This is what we worked so hard for the last few years," he said of the voter-approved constitutional amendment that led Colorado to become the first state in the nation to open recreational pot stores to anyone age 21 and older. "It's mind-blowing." Azzariti, 32, bought an eighth of an ounce of pot, plus chocolate truffles laced with marijuana. Those treats are called "edibles" at the store. Nearly 350 retail marijuana licenses have been issued to Colorado businesses, according to the Marijuana Enforcement Division, the agency under Colorado's Department of Revenue that regulates the industry. The licenses included 136 pot shops, 178 cultivation facilities and three testing sites. CNN reported that even three hours after the stores opened, one downtown Denver dispensary had a line of about 100 people outside the front door to the corner. The snow had stopped falling by then, and the gray skies were clearing to blue. While patrons -- young and the old, men and women -- waited patiently in line, the demographic at the downtown dispensary tilted more toward 20- and 30-somethings. When many buyers emerged from the store and nudged through the line, they raised their bags of newly purchased pot above their heads. People waiting on the sidewalk cheered them. While about 20 states allow medical marijuana, voters in Colorado and Washington State decided last year to go one step further, becoming the first in the nation to legalize small amounts of the plant for recreational use and regulate it like alcohol. Colorado began promptly on New Year’s Day. Washington is not slated to open its first retail establishments until later in 2014. Still, supporters and detractors alike see the two Western states as embarking on an experiment that could mark the beginning of the end for marijuana prohibition at the national level. 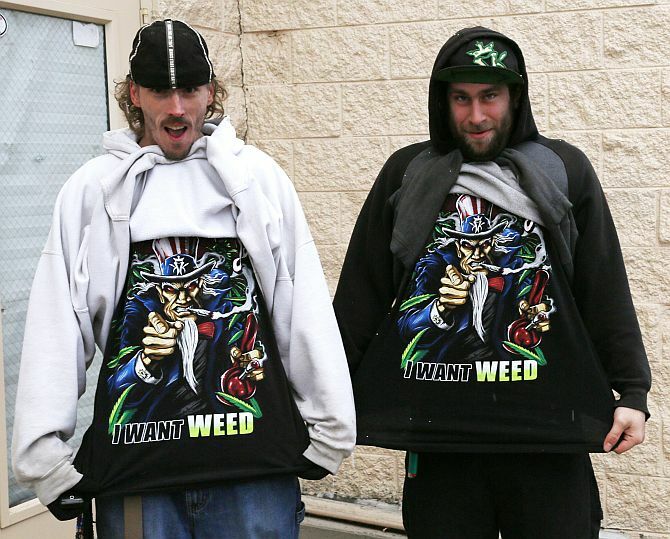 "By legalising marijuana, Colorado has stopped the needless and racially biased enforcement of marijuana prohibition laws," said Ezekiel Edwards, director of the American Civil Liberties Union's Criminal Law Reform Project. Cannabis remains classified as an illegal narcotic under federal law, though the Obama administration has said it will give individual states leeway to carry out their own recreational-use statutes. However, not all of Colorado is participating in the new law. A community can decide not to allow the shops, and in fact, most of the state geographically hasn’t, including communities such as Greeley and Colorado Springs. Proponents of the new law were dealt a setback last week when Denver and state officials threatened to shut down a private party at a dance club scheduled for January 1 celebrating the end of the prohibition against cannabis -- an event billed as “Cannabition.” The organisers canceled the party because officials said it would violate a Denver ordinance prohibiting the public consumption of marijuana. Cannabis can only be smoked on private property with the owner’s permission. One of Colorado's main media outlets, The Denver Post, has even devoted a website to the history-making moment and its ongoing impact. This week, Denver International Airport authorities banned all marijuana on the airport grounds. Medical marijuana had been legal to bring to the airport as long as it didn’t go through security checkpoints, said airport spokeswoman Stacey Stegman. But a total ban was implemented to avoid confusion as the recreational pot law rolls out, she said. Officials are concerned that a large influx of people may take marijuana to the airport and transport it across state lines. 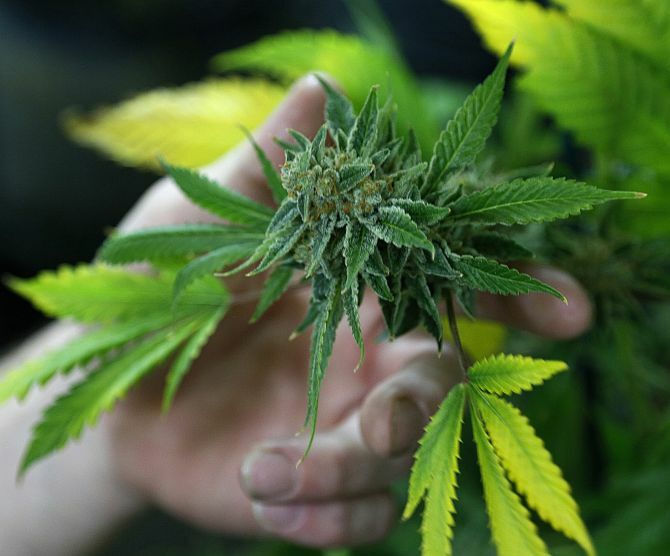 What happens next will be watched closely by Arizona, Alaska, California, Oregon and other states flirting with the idea of liberalising their marijuana laws. Questions still abound. Will drug traffickers take marijuana across state lines, to sell elsewhere? 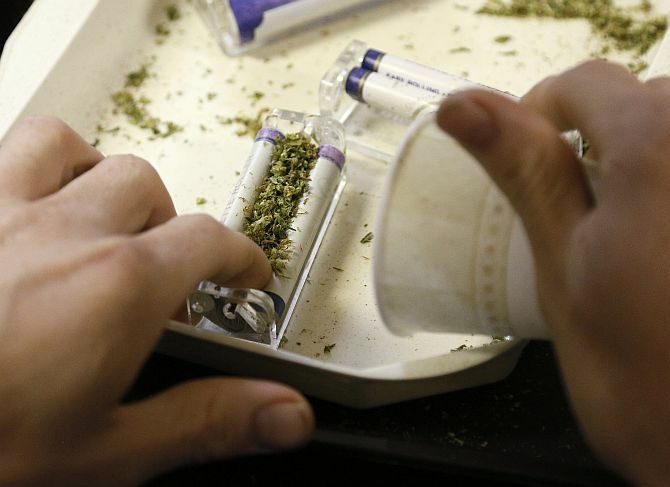 Will recreational marijuana flow from the hands of legal adult consumers to teenagers? 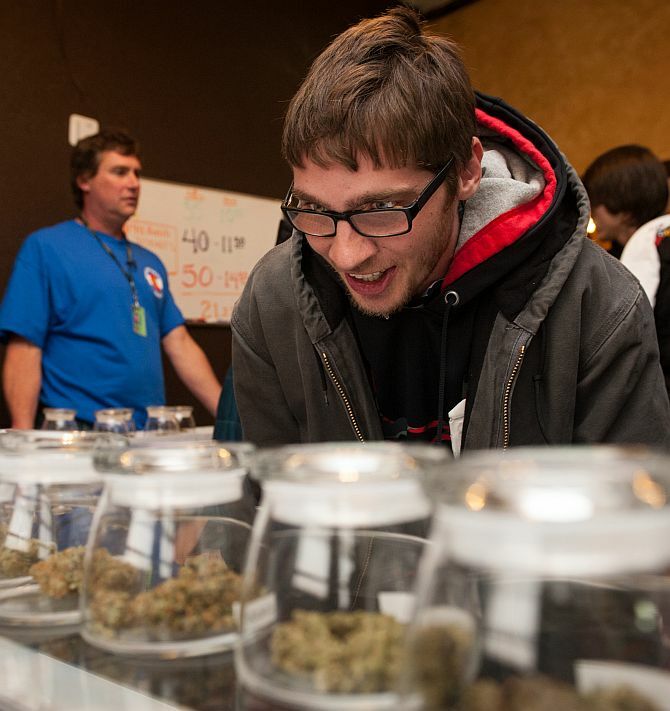 Will taxes from marijuana sales match optimistic predictions of a windfall for state budgets? 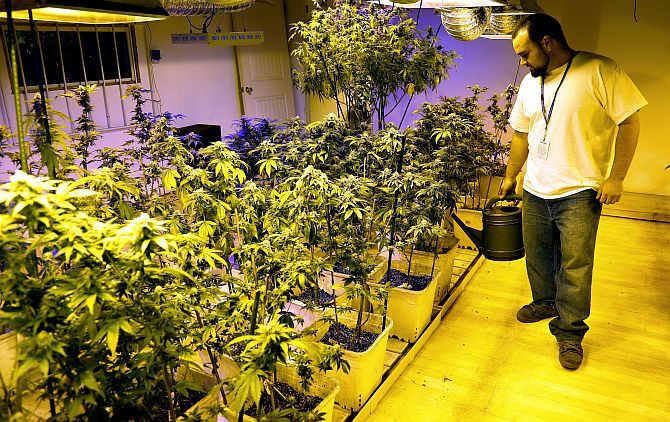 What will happen to the black market for marijuana? X'Mas Special: The world's most spectacular churches revealed!